Planks are well loved for their ability to target most of the core musculature. But isn’t this possible without a plank? Don’t get me wrong. The plank is well loved for a reason. It works a slew of muscles all at once while improving core stabilization, which is a biggie for overall fitness. Personally, I am a huge fan of the Plank. However, I have a few clients who are not. Even though I am there to motivate them to do what they normally wouldn’t, I also like them to enjoy their workout as much as possible. 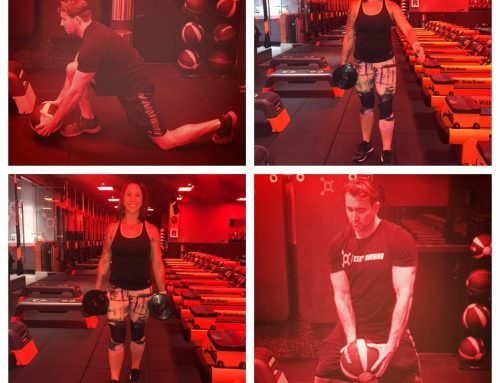 I understand what it’s like to do exercises that irk me to the core (see what I did there) and if I can help my clients avoid this while they are with me, I will! I have also run into the issue of horrendous form within planks, even with verbal and physical cueing. Think low back compression, hips sagging or piking, hands turned out to the sides, elbows locked or awkwardly bent, shoulders shrugging into the ears, and the feet trying to be flat on the ground. As a trainer, it is my job to help correct these issues, and teach my clients how to properly execute a plank. 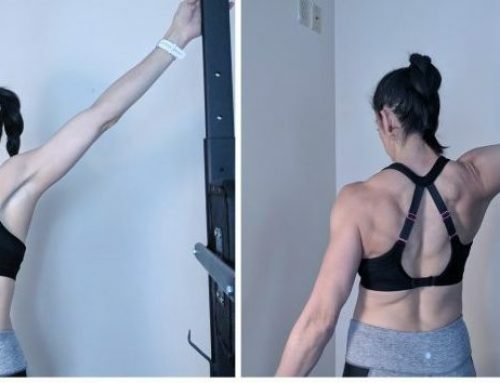 Yet, there have been times where I unwittingly spent a significant amount of my client’s session teaching proper plank technique, when we could we could have been utilizing that time more efficiently. 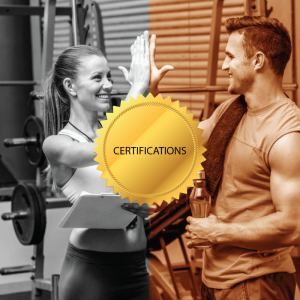 Lastly, I have some clients who simply cannot put that kind of weight into their wrists, either from past injuries, age, arthritis or a combination of the three. If I have run into all these issues, I’m certain other trainers have too. So let’s take a look at some of my go-to exercises that can be just as effective as a plank. This is by far one of my favorite core strengtheners! 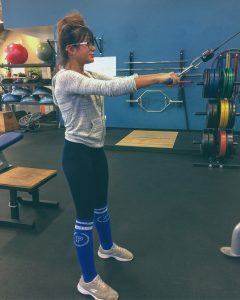 If executed correctly the entire abdominal wall fires up, the legs are strongly recruited for stabilization, and the arms and back are engaged. 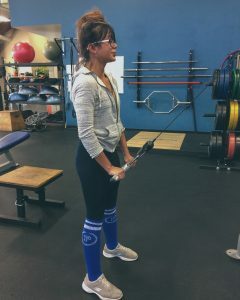 The key is keeping excellent form, finding the right weight that will significantly challenge maintaining a tall posture, and keeping the weight over the feet. – Have the client stand tall with correct posture: gaze ahead, shoulders rolled back, chest lifted. This is maintained through the entire movement. – Starting at shoulder height, on the exhale push the bar down until it meets the thighs. The arms are straight, and most of the force is originating from the abdominals. – Inhale on the return to shoulder height with control. 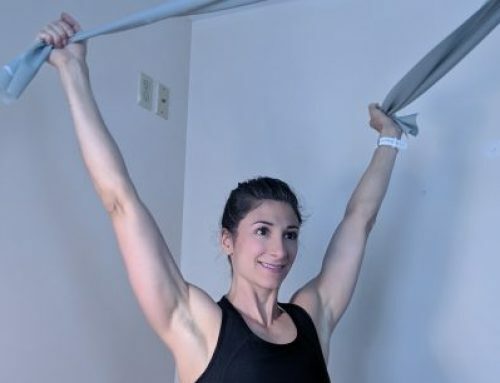 The bar will want to jerk the hands up, instruct the client to brace the abdomen and legs to maintain stability so they may complete a slow, controlled return. If the weight is too light, the client won’t feel any abdominal activation. If it is too heavy the back and shoulders will try to hunch forward to help push the bar down. Also be sure the client is standing with the weight directly over the feet, rather than leaning back or being pulled forward. This one looks harmless but is a burner. This exercise asks the client to employ controlled and focused movement, an aspect that makes it such a fantastic core workout. A significant aspect of effective core strengthening is controlled motion. I often see clients that try to complete an abdominal set as quickly as possible which tends to result in sloppy execution. This usually equates to more brute force than actual muscle engagement. – Have the client begin sitting upright on the stability ball, about two feet from the wall. – As they walk the feet towards the wall, the pelvis tucks under and they lay recline until the low back is supported, but the shoulder blades are elevated from the ball. – Place one foot on the wall, the other on the ground. Ask them to inhale and extend the torso back, while maintaining contact of the ball with the low back and pelvis. These contact points are maintained for the entire exercise. 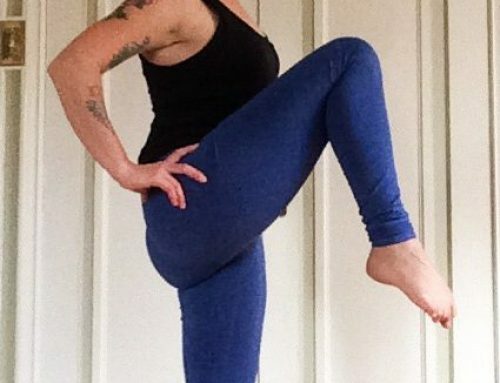 – Exhale as the torso crunches and twists forward, the leg on the ground lifts, meeting elbow to opposite knee. This exercise strongly challenges balance and stability, which is what makes it so effective. However, it can feel unnerving to a client who is new to it. I like to give the ball a little support with one of my feet, or lightly with my hands until they are familiar with the natural movement of the stability ball. This helps to remind them that the ball will move a bit underneath them, and not to be alarmed. Give them encouragement and let them know you are spotting them. They will quickly learn how the ball moves and feel more confident with the exercise. Much like the Pulley Push Down, most of the body is recruited to perform and stabilize this exercise. It’s important to instruct the client to think of the arms as simply the band’s anchor point to the body, rather than the prime mover. The twist is powered by the obliques moving the rib cage in the 180-degree range. 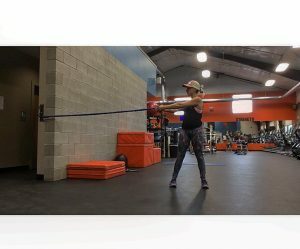 – Holding the resistance band with both hands, the hands pointing towards the wall’s anchor point and feet and hips facing forward. – Maintaining correct posture and straight arms and wrist, exhale while using the obliques to twist the torso, resulting in the arm’s position moving a full 180 degrees. – Inhale while controlling the return to the starting point. I love the plank and utilize it often. I don’t want to say it isn’t an incredible exercise. I just hope to shed some light on other effective options for those clients who just can’t stand to plank.